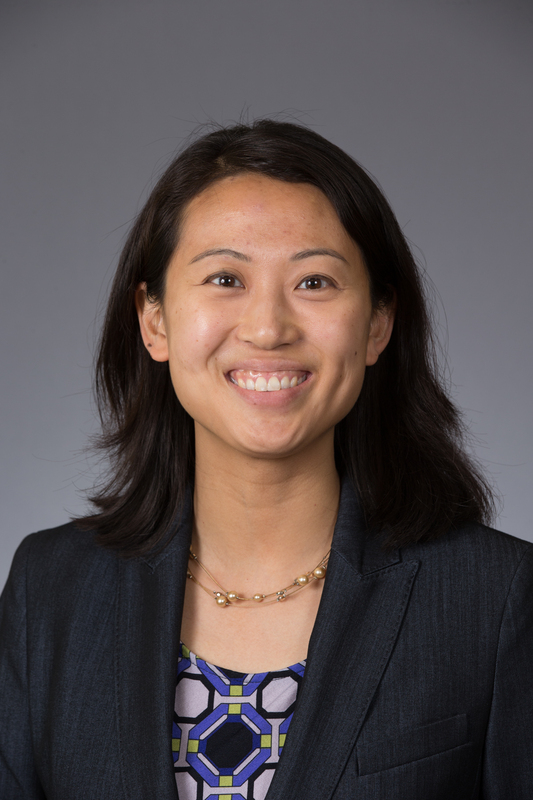 I am an Assistant Professor in the Department of Mathematics at Texas A&M University. I received a Ph.D. in 2010 in Mathematics with designated emphasis in genomic and computational biology from the University of California Berkeley. My advisors were Bernd Sturmfels and Lior Pachter. During 2010-2011, I was an NSF Postdoctoral Fellow in the Department of Mathematics at Duke University. During 2011-2014, I was an NSF Postdoc and L.E. Dickson Instructor in the Department of Mathematics at the University of Chicago. With Kari Eifler and Eric Tovar, I am organizing a Directed Reading Program. Here is the poster. 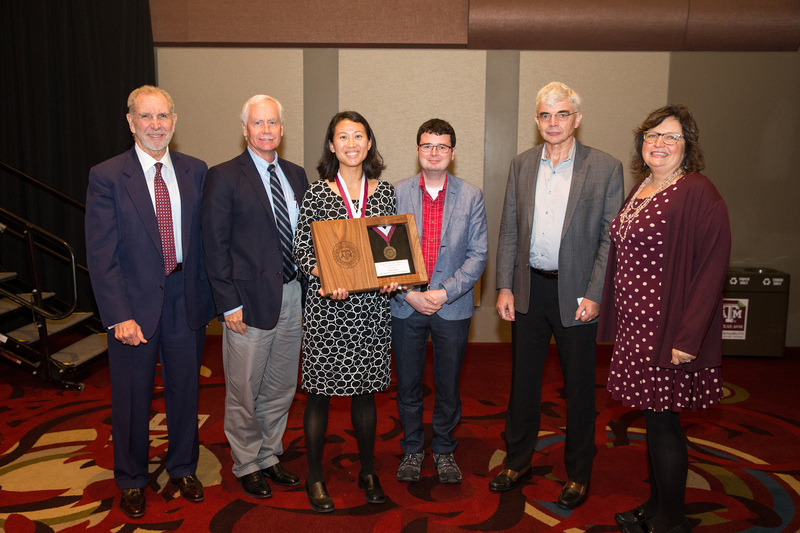 The Department of Mathematics at Texas A&M hosts an eight-week Research Experience for Undergraduates (REU) from June 3 to July 26, 2019. I will mentor the program on Algebraic Methods in Computational Biology. Details and how to apply are posted here. Results and photos from our 2015 REU and 2016 REU and 2017 REU, in which I mentored the program on Algebraic Methods in Computational Biology. During Spring 2019, I am teaching Introduction to Mathematical Biology (Math 469, section 500), which meets TR 12:45-2pm in Blocker 148. Algebraic, geometric, and combinatorial approaches to mathematical biology; biochemical dynamical systems; neural coding; parameter identifiability; algebraic statistics; genomics. Neural codes and the factor complex, with Alexander Ruys de Perez and Laura Matusevich. Submitted. Oscillations and bistability in a model of ERK regulation, with Nida Obatake, Xiaoxian Tang, and Angelica Torres. Submitted. Joining and decomposing reaction networks, with Elizabeth Gross, Heather Harrington, and Nicolette Meshkat. Submitted. Multistationarity in structured reaction networks, with Alicia Dickenstein, Mercedes Perez Millan, and Xiaoxian Tang. Bulletin of Mathematical Biology, vol. 81, no. 5, 1527-1581 (2019). Emergence of oscillations in a mixed-mechanism phosphorylation system, with Carsten Conradi and Maya Mincheva. Bulletin of Mathematical Biology, to appear. Supplementary Information. Revisiting an intracellular regulatory network that exhibits oscillations, with Jonathan Tyler and Jay Walton. Journal of Mathematical Biology, to appear. Linear compartmental models: input-output equations and operations that preserve identifiability, with Elizabeth Gross, Heather A. Harrington, and Nicolette Meshkat. Submitted. Algebraic signatures of convex and non-convex codes, with Carina Curto, Elizabeth Gross, Jack Jeffries, Katherine Morrison, Zvi Rosen, and Nora Youngs. Journal of Pure and Applied Algebra, vol. 223, no. 9, 3919-3940 (2019). Neural codes, decidability, and a new local obstruction to convexity, with Aaron Chen and Florian Frick. SIAM Journal on Applied Algebra and Geometry, vol. 3, no. 1, 44−66 (2019). Nondegenerate multistationarity in small reaction networks, with Timo de Wolff. Discrete & Continuous Dynamical Systems - B, vol. 24, no. 6, 2683-2700 (2019). Identifiability of linear compartment models: the singular locus, with Elizabeth Gross and Nicolette Meshkat. Submitted. Dynamics of post-translational modification systems: recent progress and future directions, with Carsten Conradi. Invited Perspective. Biophysical Journal, vol. 114, issue 3, pp. 507-515 (2018). Gröbner bases of neural ideals, with Rebecca Garcia, Luis Garcia Puente, Ryan Kruse, Jessica Liu, Dane Miyata, Ethan Petersen, and Kaitlyn Phillipson. International Journal of Algebra and Computation, vol. 28, no. 4, pp. 553-571 (2018). An all-encompassing global convergence result for processive multisite phosphorylation systems, with Mitchell Eithun. Mathematical Biosciences, vol. 291, pp. 1-9 (2017). Which small reaction networks are multistationary?, with Badal Joshi. SIAM Journal on Applied Dynamical Systems, vol. 16, pp. 802-833 (2017). Obstructions to convexity in neural codes, with Caitlin Lienkaemper and Zev Woodstock. Advances in Applied Mathematics, vol. 85, pp. 31-59 (2017). What makes a neural code convex?, with Carina Curto, Elizabeth Gross, Jack Jeffries, Katherine Morrison, Mohamed Omar, Zvi Rosen, and Nora Youngs. SIAM Journal on Applied Algebra and Geometry, 1:1, pp. 222-238 (2017). Analyzing multistationarity in chemical reaction networks using the determinant optimization method, with Bryan Félix and Zev Woodstock. Applied Mathematics and Computation. Volumes 287–288, pp. 60-73 (2016). Sign conditions for injectivity of generalized polynomial maps with applications to chemical reaction networks and real algebraic geometry, with Stefan Muller, Elisenda Feliu, Georg Regensburger, Carsten Conradi, and Alicia Dickenstein. Foundations of Computational Mathematics, 16:1, pp. 69-97 (2016). A survey of methods for deciding whether a reaction network is multistationary, with Badal Joshi. Mathematical Modelling of Natural Phenomena, special issue on "Chemical dynamics", 10:5, pp. 47-67 (2015). A global convergence result for processive multisite phosphorylation systems, with Carsten Conradi. Bulletin of Mathematical Biology 77:1, pp. 126-155 (2015). A geometric approach to the global attractor conjecture, with Manoj Gopalkrishnan and Ezra Miller. SIAM J. Appl. Dyn. Syst., 13:2, pp. 758-797 (2014). A projection argument for differential inclusions, with applications to persistence of mass-action kinetics, with Manoj Gopalkrishnan and Ezra Miller. SIGMA 9 (2013), 025, 25 pages. Atoms of multistationarity in chemical reaction networks, with Badal Joshi. Journal of Mathematical Chemistry, 51:1, pp. 153-178 (2013). Simplifying the Jacobian Criterion for precluding multistationarity in chemical reaction networks, with Badal Joshi. SIAM J. Appl. Math., 72:3, pp. 857-876 (2012). Chemical reaction systems with toric steady states, with Mercedes Perez Millan, Alicia Dickenstein, and Carsten Conradi. Bulletin of Mathematical Biology, 74:5, pp. 1027-1065 (2011). Algebraic methods for biochemical reaction network theory, Ph.D. thesis, 2010. Siphons in chemical reaction networks, with Bernd Sturmfels. Bulletin of Mathematical Biology, 72:6, pp. 1448-1463 (2010). The dynamics of weakly reversible population processes near facets, with David F. Anderson. SIAM J. Appl. Math. 70:6, pp. 1840-1858 (2010). The smallest multistationary chemical reaction network. Proceedings of the Third International Conference, Algebraic Biology 2008, Castle of Hagenberg, Austria, July 31-August 2, 2008. Lect. Notes Comput. Sc. 5147, pp. 172-184 (2008). Toric dynamical systems, with Gheorghe Craciun, Alicia Dickenstein, and Bernd Sturmfels. Journal of Symbolic Computation 44, pp. 1551-1565 (2009). Comparing pattern detection methods in microarray time series of the segmentation clock, with M. Dequeant, S. Ahnert, H. Edelsbrunner, T. Fink, E. Glynn, G. Hattem, A. Kudlicki, Y. Mileyko, J. Morton, A. Mushegian, L. Pachter, M. Rowicka, B. Sturmfels, and O. Pourquie. PLoS ONE 3:8, e2856 (2008). The cyclohedron test for finding periodic genes in time course expression studies, with Jason Morton, Lior Pachter, Bernd Sturmfels. Statistical Applications in Genetics and Molecular Biology: Vol. 6 : Iss. 1, Article 21 (2007). Convex rank tests and semigraphoids, with Jason Morton, Lior Pachter, Bernd Sturmfels, Oliver Wienand. SIAM J. Discrete Math. 23:3, pp. 1117-1134 (2009). Three counterexamples on semigraphoids, with Raymond Hemmecke, Jason Morton, Bernd Sturmfels, Oliver Wienand. Combinatorics, Probability and Computing. 17:02, pp 239-257 (2008). Geometry of rank tests, with Jason Morton, Lior Pachter, Bernd Sturmfels, Oliver Wienand. The third European Workshop on Probabilistic Graphical Models, Prague, Czech Republic, Sept. 12-15, 2006. Link to my papers on the ArXiv. On the identification of k-inductively pierced codes using toric ideals , Molly Hoch, Samuel Muthiah, and Nida Obatake. Submitted. Strengthening relationships between neural ideals and receptive fields, Angelique Morvant. Rose-Hulman Undergraduate Mathematics Journal, 20:1 (2019), Article 8. Conditions for Solvability in Chemical Reaction Networks at Quasi-Steady-State, Mark Sweeney. Submitted. Precluding Oscillations in Michaelis-Menten Approximations of Dual-site Phosphorylation Systems, Hwai-Ray Tung. Mathematical Biosciences. 306, pp 56-59 (2018). Every Binary Code Can Be Realized by Convex Sets, Megan K. Franke and Samuel Muthiah. Advances in Applied Mathematics. 99, pp 83-93 (2018). No oscillations in the Michaelis-Menten approximation of the dual futile cycle under a sequential and distributive mechanism, Adriana Morales and Luna Bozeman. SIAM Undergraduate Research Online. 10, pp 21-28 (2017). Complex-Balanced Steady States of Chemical Reaction Networks that Contain an Eulerian Cycle, Daniel Thielman (co-mentored by Christine Berkesch). Undergraduate thesis (Duke), Apr. 2012. AWM Research Symposium 2019, Rice University (Apr. 6-7, 2019). With Brandy Stigler, I am organizing a special session on New Developments in Algebraic Biology at the AWM Research Symposium 2019 at Rice University (April 6-7, 2019). With Sourav Chatterji, I organized a Berkeley-Davis Mathematical Genomics Meeting (Friday, September 15, 2006 at the UC Davis Genome Center). With Gheorghe Craciun and Manoj Gopalkrishnan, I organized a Special Session on the Mathematics of Biochemical Reaction Networks, which took place at the 2009 AMS Spring Southeastern Section Meeting in Raleigh, NC, April 4-5, 2009 (Saturday - Sunday). With Raman Sanyal, I organized the Berkeley Discrete Math Seminar during Spring 2009. With Valerie Hower, I organized a mini-symposium at the SIAM Math for Industry conference (October 9-11, 2009 in San Francisco). The mini-symposium took place 2:15 p.m.-4:15 p.m. on Saturday, October 10. With Trevor Potter, Betsy Stovall, and Cynthia Vinzant, I organized a monthly seminar at UC Berkeley entitled Career Talks. This series introduced math graduate students to career paths within academia and industry. With Sonja Mapes, I organized the Duke Algebraic Geometry seminar (Spring 2011). With Manoj Gopalkrishnan and Casian Pantea, I organized a minisymposium on biochemical reaction networks at the SIAM Conference on Applied Algebraic Geometry, NC State, Raleigh NC (Thurs.-Sun., Oct. 6-9, 2011). With Francois Boulier, Thomas Sturm, and Andreas Weber, I organized a Symbolic Methods for Chemical Reaction Networks seminar at Castle Dagstuhl in Germany (November 12-16, 2012). The Dagstuhl report of this seminar is available here. With Alicia Dickenstein and Jeremy Gunawardena, I organized a workshop on Mathematical problems arising from biochemical reaction networks at AIM in Palo Alto CA (March 25-29, 2013). Computer algebra tutorial file available here. With Gilles Gnacadja, I organized a minisymposium on Algebraic Aspects of Biochemical Reaction Networks at the SIAM Conference on Applied Algebraic Geometry 2013 at Colorado State University (August 1-4, 2013). I was one of the organizers of the 2015 Texas Algebraic Geometry Symposium, Texas A&M University (April 10-12, 2015). Photo. With Alicia Dickenstein, I organized a minisymposium on Algebraic structures arising in systems biology at the SIAM Conference on Applied Algebraic Geometry (AG15), Daejeon, South Korea, (August 3-7, 2015). With Paulo Lima-Filho and Jay Walton, I organized an IAMCS workshop on Contemporary Mathematical Challenges in the Life Sciences (May 16-18, 2016). See also this article. 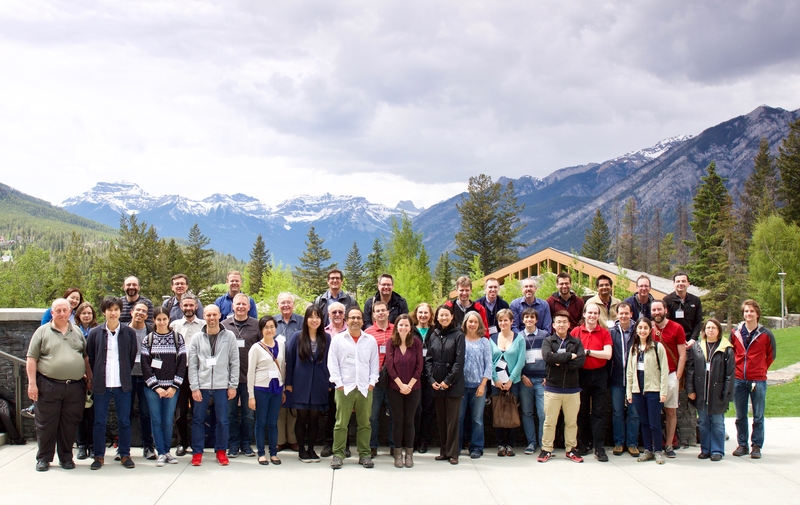 With David F. Anderson, Matthew Johnston, Casian Pantea, and Lea Popovic, I organized a workshop on "Mathematical Analysis of Biological Interaction Networks" at Banff International Research Station (Jun. 5 to Jun. 9, 2017). Photo. With Carsten Conradi and Gheorghe Craciun, I organized a minisymposium on Algebraic Methods for Analyzing Biological Interaction Networks at the SIAM Conference on Applied Algebraic Geometry 2017 at Georgia Tech (Aug. 2-3, 2017). I was one of the organizers of the 2018 Texas Algebraic Geometry Symposium, Texas A&M University (Apr. 6-8, 2018). Conference poster courtesy of David Kerr. Women and Mathematics Mentoring Program, Durham County NC. Under the direction of Lior Pachter and Bernd Sturmfels, two fellow students - Jason Morton and Oliver Wienand - and I undertook a project in the spring of 2006 analyzing microarray data. This took us to a meeting hosted by the Olivier Pourquié lab at the Stowers Institute in Kansas City. This inspired a paper entitled, Geometry of Rank Tests, and a follow-up paper Three Counterexamples on Semigraphoids. Our paper The Cyclohedron Test for Finding Periodic Genes in Time Course Expression Studies describes the implementation of a rank test inspired by algebraic combinatorics for finding interesting gene expressions in microarray experiments. I attended a chicken genome workshop at Cold Spring Harbor lab in New York. I made a human reference-based annotation of the May 2006 build of the chicken genome, under the guidance of Sourav Chatterji, using GeneMapper. In spring 2009, I participated in a new Genome Project Lab course at Berkeley, in which we assembled, annotated, and analyzed a newly sequenced genome. NSF CAREER award, 2018-2023 (DMS-1752672). Press release and Battalion article. Montague-CTE (Center for Teaching Excellence) Scholar grant, Texas A&M, 2018-2019. Press release and photo.